would most certainly fit nicely into the category of "surrealism." For those unfamiliar with the genre, Dictionary.com defines surrealism as a style consisting "of visions and dreams that are free from conscious rational control." Could there be a more apt representation of how Trump, aided and abetted by South Dakota's all-GOP congressional delegation, has handled the economy-shattering effects of his tariff fixation? First, these so-called Republicans have abandoned their party's historic commitment to free trade, which has been the foundation of our state's ag economy for many years. Then these so-called Republicans have socialized the financial pain of South Dakota's farmers by promising them part of the $12 billion that the Trump administration will dole out to make up for the losses created by the looming trade war. And lately, these so-called Republicans are subscribing to the laughable notion that Trump's trade war-mentality is designed to force abandonment of tariffs altogether. That our state's economy is getting crushed by the process reminds me of what I often heard when I was a Marine fighting in Vietnam: "We had to destroy the village in order to save it." And now, as if the collective loss of "conscious, rational control" within the Republican party hasn't done enough damage to our state's ag economy, we're confronted with another bit of headstrong nonsense aimed at South Dakota's tourism sector. President Trump announced over the past weekend that if he can't get the funding he wants for his border wall by September that he'll do what he can to shut down the government altogether. I have no doubt that I'm speaking for many of my counterparts in the tourism biz (which is how I make a buck), when I say that this crazy and surrealistic nonsense has to stop. Why? Because the last time we had a fiasco like this, during October of 2013, the government shutdown instigated by the GOP-dominated U.S. House of Representatives led to the closing of our national parks, monuments and caves--just in time to wipe out the lucrative Autumn tourism season that is so important to our local economy. Talk about unintended consequences. The Rapid City Journal headlined in its story on the subject that South Dakota's economy was "reeling" from the effects of the shutdown. My peers and I shared stories about constricted bottom lines and staffers whose paychecks were severely cut just as the holiday shopping season was getting into gear. That shutdown lasted for the first two weeks of October, but the aftereffects lingered throughout the month as news about the national park and monument closures drastically cut down business for the rest of the season. October 2013 sales tax receipts in Keystone, the town adjacent to Mt. Rushmore, were down 32 percent from the previous year. 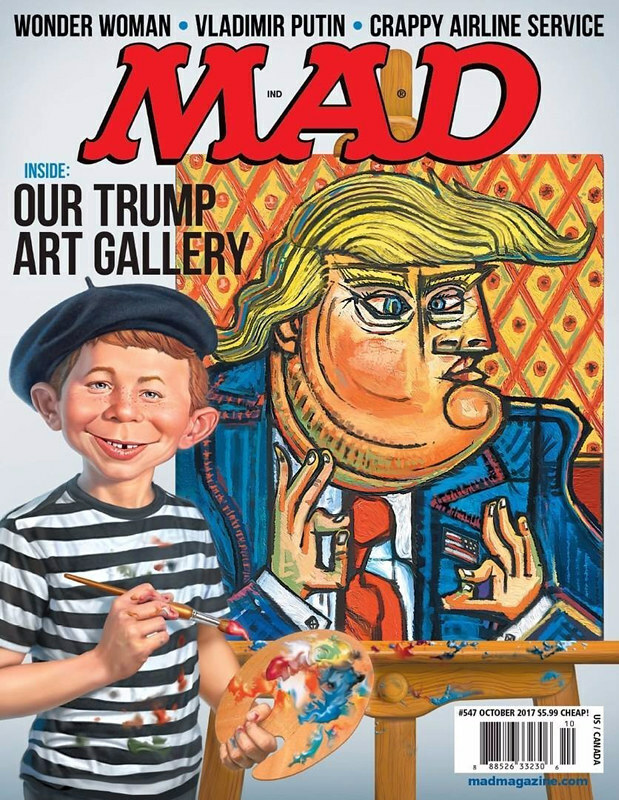 If there's an "art" to this, it won't get much appreciation from those who have to deal with the replay of a government shutdown. Can He Ride Herd On The Economy? 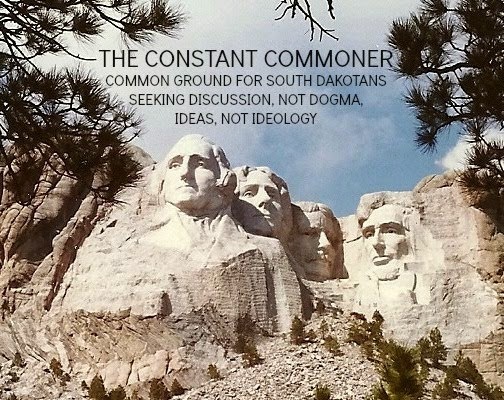 desire to create a new society for us South Dakotans. Lately though, even his credentials as an agent for modest but meaningful change seem shaky. He's stuck on the status quo and he made that clear enough during a seven minute interview with Todd Epp on KELO-radio last week. His identification with Republican-majority dogma is already well known. Sutton has a strong anti-abortion voting record, his 80% rating by South Dakota Right To Life speaking for itself. Ditto his 79% rating by the National Rifle Association. Siding with those organizations 4 out of 5 times makes him more than just "safe" when it comes to which side he's chosen in the "culture wars." He's a full-blown ally of the GOP. Like it or not, Democrats have to swallow their pride and accept Sutton's affinity with Republicans on abortion and guns, and his party faithful seem to be doing so with a pragmatic shrug. All that has been a given up to now, but Sutton's KELO interview revealed an even more Republican-like attitude toward the ultra-important matter of taxation. When quizzed about a state income tax, Sutton unequivocally said, "I'm opposed." This was the politically realistic response, no question, but his reasoning behind that position was programmed and reminiscent of the hackneyed rhetoric that has supported the repeated failure of Republican government in South Dakota to move this state forward economically. When asked why our state shouldn't be taxing income, Sutton supported the present and disdained the future by saying that "we are attracting more people here and attracting businesses here. We have a very good welcoming business community and culture here in South Dakota. We want to keep it that way." Keeping it "that way" is a woefully poor standard to maintain in South Dakota. Even Sutton's opponent, Republican Kristi Noem, acknowledged as much last Spring when she declared that "our economy is falling behind." Our state's economic performance relative to the United States and the surrounding region has been awful. More pointedly, "that way" has been surpassed by our surrounding states, most of whom have an income tax. The management and consulting behemoth McKinsey and Company just released a table comparing economic conditions by state, using rates of in-migration of millenials as the standard for comparison. Published in U.S. News and World Report last May, it ranks South Dakota behind the five of our immediate neighbors (Minnesota, North Dakota, Montana, Iowa, and Nebraska) that have a state income tax. We're at the back of the pack, along with Wyoming, another state with no income tax. Sutton's politically obligatory reasoning for opposing an income tax in South Dakota is understandable enough, but there's no way to claim that it has something to do with attracting more people and businesses when the comparisons say otherwise. Promising to be a caretaker of the "same-oh, same-oh" makes Sutton's comfort level with South Dakota's economic status quo unnerving in a state that consistently has trouble keeping up with the rest of the country. officials run for cover? On the state level there's a bridge between the functions of management and leadership that I don't think has been traversed since, like him or not, Bill Janklow was governor about 20 years ago. Last Monday Governor Dennis Daugaard was celebrating the state's $17 million surplus--South Dakota's seventh consecutive year in the black--by claiming that a structurally balanced budget "was my number one priority when I took office and it still is as I finish my term as Governor." I don't get how the modifier "structurally" has any relevance in a state where ongoing revenues are impossible to predict, given the volatile nature of the commodity markets that dominate our state's agriculturally-dependent economy. Laudable as it may sound, Daugaard's commitment doesn't mean much in a state that has had a balanced-budget amendment in its Constitution since 2012. Basically, Daugaard is congratulating his administration for adhering to the state constitution. Rather than sending his lame-duck governorship off with gratuitous fanfare, a requiem for Daugaard's years in the statehouse seems appropriate. Consider that on a per capita basis, South Dakota's GDP growth has persistently lagged the nation and the region. Daugaard gets some credit for navigating the revenue shortfalls that have plagued this state in recent years, but on providing the strong and visionary leadership it takes to advance South Dakota's economy forcefully enough to keep up with the rest of the country, he rates a "meh." On the federal level, the situation is much the same. Our GOP trio of Kristi Noem in the U.S. House and Mike Rounds and John Thune in the Senate are mired in complacency. They seem helpless to do anything about the looming financial catastrophe that will strike South Dakota farmers as President Trump's trade war unfolds. Noem meekly said recently that falling commodity prices "are very concerning to me." His Trump-deference in full view, Mike Rounds was on Meet The Press last week telling Chuck Todd that South Dakota farmers "need to share and continue to share their concerns." A month ago John Thune was belaboring the obvious by telling Secretary of Commerce Wilbur Ross that a trade war would have a "harmful effect" on farmers. Apparently, expressing concern and telling farmers they have to speak up for themselves is the closest the three of these can come to pushing for congressional action that might offset President Trump's potentially ruinous trade shenanigans. As for Republican Congressional candidate Dusty Johnson, he's part of the do-nothing cabal. He told the Sioux Falls Argus Leader last week that "congressional involvement, at least at this time, is going to inject more politics into it." To Johnson fending off the collapse of farm commodity prices is a political event, to be shunned by our state's elected officials . . . "at least at this time." So when is the "right time" to act? Johnson doesn't have a clue. The wussiness goes on. Our congresspeople need to live up to their job description as "representatives." Their wordplay hasn't stemmed the financial slaughter occurring in our ag sector. Political intimidation from the Trump administration has paralyzed our federal reps. The South Dakota Farm Bureau doesn't have much in the way of moxie these days. Its president, Scott VanderWal was on KELO-radio last Friday acknowledging the devastating potential of President Trump's tariffs on our state's corn and soybean farmers. He sounded the appropriate call for alarm by noting that "if we disrupt trade like we are now with the farm economy in poor shape . . . it's going to be economically devastating." The prospect of farmers selling this year's crop at prices a good fifteen to twenty percent lower than what markets were expecting last Spring, just before Trump's trade war-fixation turned into policy has walloped South Dakota's farmers. strong language ended. The logical follow-up to VanderWal's alarming prognosis would seem to have been a call to action but what we got instead was a call to timidity. He said South Dakota's farmers need to make their voices heard in Washington, "but we have to be careful how we do that because he (Trump) doesn't respond to attacks very well, or perceived attacks." That squeamishness is probably the reason our politically wimpish congressional delegation hasn't been more forceful in criticizing, if not altogether condemning, Trump's tariff gambit. Maybe it's just me, but it seems like a much more muscular response to the president's threat of financial devastation to South Dakota's farmers is in order. With Trump, vapidity won't get it. 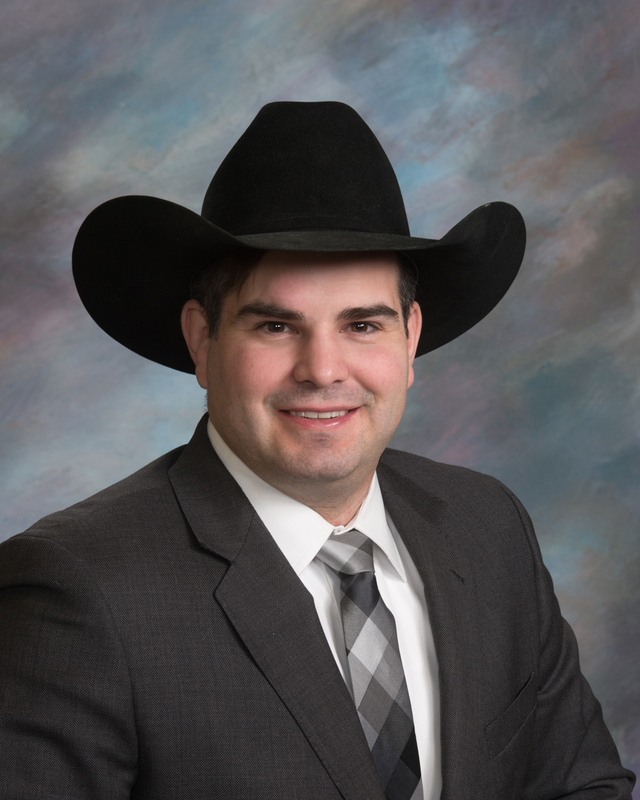 If the Farm Bureau's approach to the financial armageddon predicted by VanderWal were limited to its members, there wouldn't be much reason for the rest of us South Dakotans to stick our noses into their business. But as we've heard relentlessly for the past few years, persistent softness in farm income has hurt the state's overall economy. To a real extent, all of us in South Dakota are farmers, dependent as we are on the condition of our crops and the money they bring in to the state. South Dakota's current soybean crop has experienced a $500 million paper loss since last Spring's market peak. That's a lot of pain for a small state like ours to absorb. We all have a stake in this. What's more, the need for getting through to Trump about the "devastating" potential of his trade policies isn't just a short-term thing. There are long-term urgencies to contend with. Agricultural media have been bursting with news about how China, the world's largest soybean importer, is making it a national policy to build domestic supplies by subsidizing its farmers heavily and seeking new suppliers, including Russia, to replace an American source that has suddenly turned toxic in a geo-political sense. 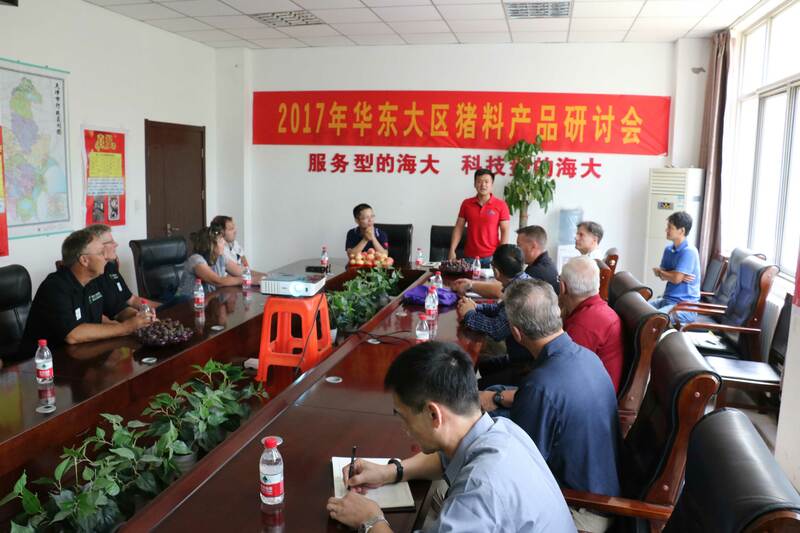 Considering that about half of the U.S.A.'s annual soybean harvest of 4 billion bushels is exported and that two-thirds of those exports go to China, we're talking about a serious game-changer here. Even if China's rapacious demand for soybeans forces the country to take a while before it weans itself away from American supplies altogether, we run the risk of this game of tariff-chicken becoming a catalyst for changes in Chinese buying behavior that in turn creates a new network of suppliers for Americans to compete against. In that scenario, the downward pressure on prices will be persistent and painful. Fourche parade. So many pungent ironies will be running through my mind. Fifty one years ago on the Fourth I was a radioman near the Demilitarized Zone in Vietnam, about to get airlifted into a desperate fight nearby, the scuttlebutt being that I was replacing one of the many radiomen in the field that were dead. I cursed the war. I cursed Lyndon Johnson. I cursed the Halls of Montezuma. Not yet twenty, I knew I was going to die. But it wasn't meant to be. Enough air cover came in to drive the enemy back to their sanctuary in the Z (short for DMZ, aka the Demilitarized Zone), where we couldn't chase them, allowing the hostilities to come to a pause. I got reprieved. Though there were plenty of fights before and after (OMG, you should've seen September 3, 1967, at Dong Ha. OMG. ), that particular engagement, where I never even came within shooting range of the action, scared me the most. It was a tough way to become a citizen of the United States, but become a bona-fide, card-carrying American, I did. Having come over from the shambles of post-war Europe in 1950 with my parents and baby sister, I probably was naturalized along with them a few years later. Just to make sure, though, I enlisted in the Marines to pick up an automatic naturalization via that route. For all these many years since then I never gave the fact of my naturalized status a second thought. Then along came Trump. I just about couldn't believe it when he made a point last February about wanting an immigration policy that favored educated and skilled emigres. If that were the policy back when I checked in at Ellis Island, my barely educated family of eastern Mediterranean (Greek and Armenian) "po' folk" would have been locked out. And that would have been a shame, because, all modesty abandoned, I doubt that a more proudly American family could have been nurtured by this country, native born or not. More specifically, I doubt that the state of South Dakota could have turned out a more productive and contributing family. I often wonder if most South Dakotans know how many immigrants are a part of the modern fabric of this state. According to the American Immigration Council, twelve percent of our state's manufacturing workers are immigrants. Ten percent of our state's building maintenance workers are immigrants. Turkey processors in Huron now employ several hundred ethnic-Karen refugees from Myanmar. Given the nature of the work, I'm sure many of these people don't have education and skills levels that would conform to an immigration policy that shuns the untutored. According to the AIC, nearly 60% of South Dakota's immigrant population has a high-school diploma or less, the "or less" faction making up about 35% of the new arrivals. Keeping these people out of South Dakota's labor pool would make a tight situation even worse for employers who chronically struggle to deal with our labor shortage. And, writing as the son of those in the "or less" category, the children of these families stream into the general population with educations and ambitions that have made this country what it is. Sorting out the good from the bad is one thing, a mandatory thing, but to deny the U.S.A. its historic source of energy by being overly restrictive about who gets to enter this country is a rejection of a success story that is the American experience.